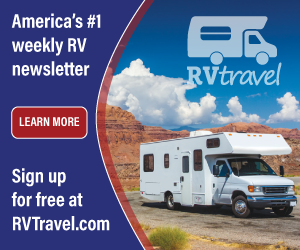 The RV Doctor: Which Switch? I’m have a 31-foot motorhome. My question is, on the dash board I have a rocker switch that is marked “auxiliary switch.” Can you please tell me what the function of this switch is supposed to be? There is also a booster start switch and a generator start switch. These two I know what their function is. Any help will be appreciated. Frede, my first question would be whether or not any wires are connected to that switch? It may simply be a "dummy" switch. It was not uncommon for motorhome manufacturers to buy/or build one component that would be installed in various models of their line. It's quite possible that your dash panel was designed to fit into a few different motorhome models produced by that maker. 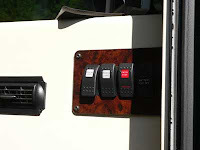 Perhaps that switch powered a component, but in a different model motorhome using that same dash panel. In some applications, an auxiliary switch was used for driver and co-pilot 12-volt fans. For other tasks it may operate a lamp or an electric step. More detective work is needed. I'd suggest gaining access to the rear of the switch and see how many poles and how many wires are attached, if any. A positive 12-volts on one of the wires is another good clue that it indeed operates some thing. See if you can find out how many wires, how many poles, is the switch "hot," and if it's a momentary switch or one that remains in both the on and off position? The more clues, the better. But if no wires are present, it's there simply to plug a hole in the dash!